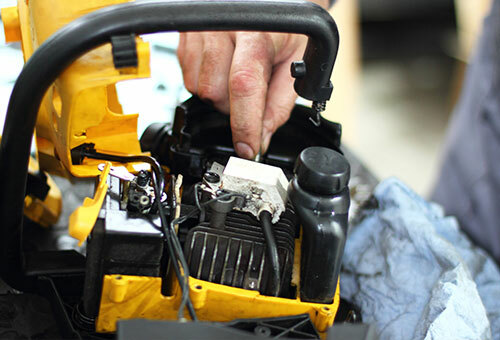 Learn to fix things like powerboats, motorcycles, ATVs, and outdoor power equipment. Covers the theory of two and four-stroke engines. An engine is taken apart and inspected, new parts are added, and then the engine is reassembled using the proper service manuals and tools. Carburetor and governor adjustments are made as needed. Students should have access to an engine and basic hand tools. Safety glasses are required. Provides the student with theory and hands-on experience with gas outdoor power equipment. Fuel, cooling, lubrication and DC electrical systems will be emphasized.